Borage herb has edible flowers too! Place the purple edible flowers in ice cube trays and freeze for summer time drinks. Or during the winter time as a reminder of your past summer and ward off the winter blues. The leaves taste like cucumbers and can be used in salads, soups, sauces before they get to big. 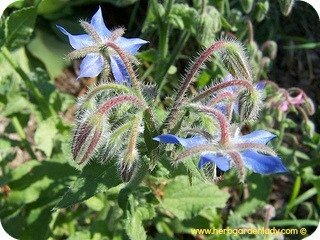 Once you plant borage you will always have this edible plant. It self-sows easily, but is a useful herb for any garden. 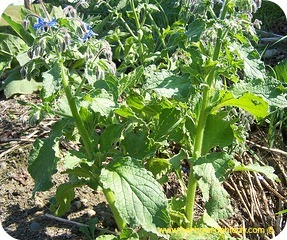 Borage is one of the herb plants that readily self-sow its seeds. So, you won’t need to buy seeds every again. 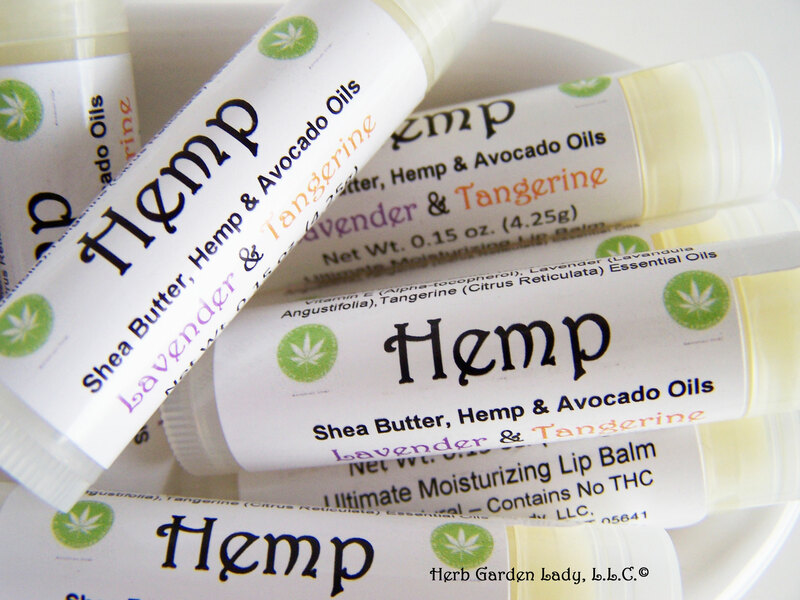 Give some to your neighbors, friends or sell at farmer’s markets. Plant this herb with your tomato, peppers, eggplant or potatoes. When I planted a large group of this herb in the middle of my tomato patch along with hot peppers, comos, salvia, onions, leeks, and lettuce the tomato horn worm did not visit my herb and vegetable garden. My father’s tomato patch was loaded with them, over thirty when he last counted. Yuck! This insect strongly dislikes borage so plant it with your tomatoes. Annual, hardy, height 1- 2 feet 6 inches, open sunny position, may need staking, flowers mid-summer, and light cucumber taste. This herb plant is high content of calcium, potassium and mineral salts. The edible flowers are used in salads, frozen ice cubes of summer drinks, a necklace, dried, decorations for desserts such as cakes when crystallized or as a garnish to ice cream. The flowers are used to make a syrup see herb recipes. The flowers are known to encourage sweating. The newly grown leaves, which taste like cucumbers, are chopped in salads, yogurt, sandwiches, and potato salad, added to soft cheeses, stuffing for pasta dishes and cooked like spinach. The leaves are known to be diuretic. When planting your herb garden plant borage next to your strawberry patch as this herb plant stimulates each other’s growth. If you burn the leaves they’ll produce small sparks and explosive sounds, like fireworks. For people who are on a salt-free diet or are diabetic, like my mother was, this edible plant is rich in mineral salts. The seeds oil is rich in gamma-linoleic acid (24%) and is superior in respect to evening primrose. 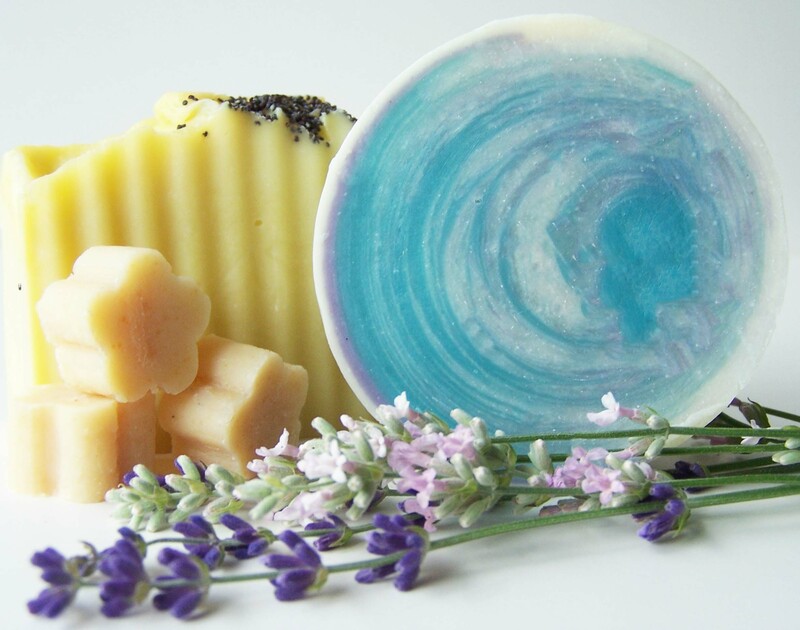 Borage seed oil is rich in polyunsaturated fats. The seed oil is used in premenstrual complaints, rheumatic problems, eczema, and other chronic skin conditions. 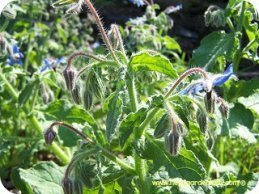 Enjoy the flowers and make some borage herb syrup, eat the leaves in moderation and grind the seeds for its medicinal herb properties and you may be more courageous.